We are excited to announce the start of Headwaters’ weekly Farmers Market! Every Saturday morning at HW Central from 9:00 a.m. to 1:00 p.m. browse a selection of fresh produce and artisan goods, enjoy music and Hill Country views, and experience the vibrant lifestyle at Headwaters. Join us on February 17th for a Texas-sized kickoff celebration of Headwaters’ Farmers Market! Parents will love browsing the produce and goods at our local community partners’ booths, including Buddhas Brew Kombucha, Greater Goods Coffee, Twisted X Brewing Co. and Banzo Hummus, while enjoying live music by Steel Betty. Kids will have a blast playing in the bounce houses, flying kites and blowing bubbles on Headwaters’ beautifully maintained playfield. Then, the whole family can wrap up the afternoon together with a delicious lunch while enjoying the best views in Dripping Springs. But the fun doesn’t stop there! Following our kickoff event, you can continue to stock up on wonderfully fresh seasonal fruits and vegetables every Saturday. Browse the artisan crafts and food items, and maybe leave with something new that you’ve never tried before. Vendors, bands and kids’ activities will constantly be changing, so there will always be something new and exciting for the whole family to look forward to! HW Central and the HUB coffee shop will be open for tours during every Farmers Market, so make sure to pop in for refreshments and a chat with our Lifestyle Director about what life is like at Headwaters. 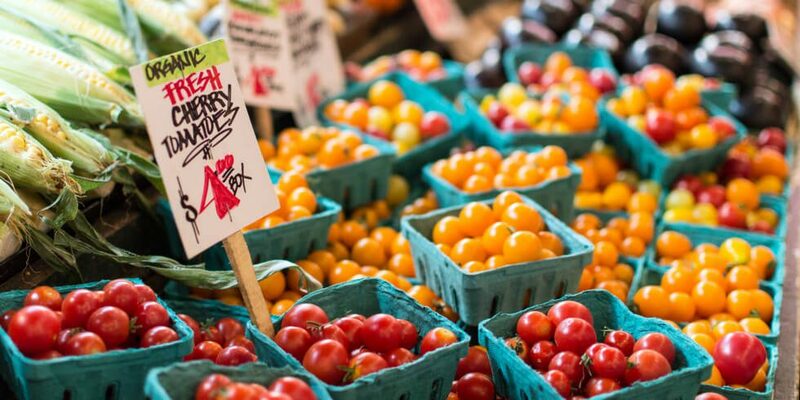 While the Farmers Market is open to everyone to enjoy, Headwaters residents have access to even more events and activities organized by our Lifestyle Director. Just a few of the upcoming, exclusive resident events include chocolate-making and wine tasting, community-wide fitness challenges and stargazing at Homestead Park on one of Headwaters’ five preserved hilltops. Residents also have access to community clubs like the Trail Blazers running club, Pilates and kickboxing classes and the Guys Card Nights. We look forward to seeing you and your family at the Farmers Market! You can RSVP for our kickoff event here. To learn more about the events and lifestyle at Headwaters, join our Founders Club.